EnGenius FREESTYL 2 is a scalable 900MHz Cordless Phone System with extreme wireless signal range that’s ideal for businesses with employees who roam beyond the their offices or cubicles; or for expansive properties (farms, ranches, resorts, luxury estates) so owners or staff can stay connected over extended distances. 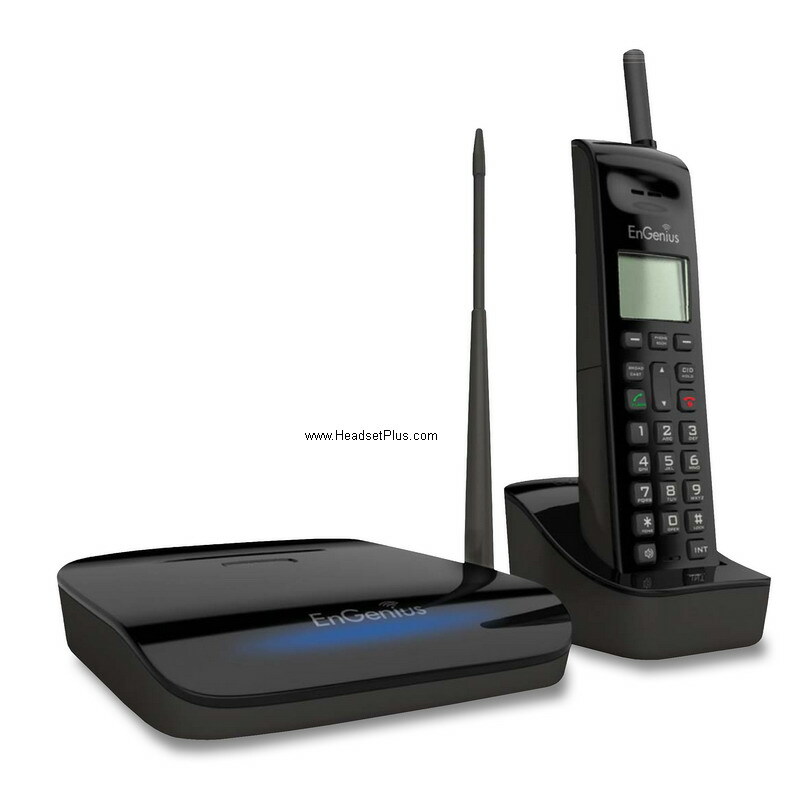 Engenius FreeStyl2 is a complimentary addition to an existing digital desktop phone systems (with an analog port), DECT phone systems and Wi-Fi phone systems. It can connect to both digital and analog PBX systems and provides companies or homeowners a solution that provides connectivity far beyond DECT or Wi-Fi phones particular on properties where outdoor Wi-Fi is unavailable or not an option. Individual Engenius FreeStyl 2 handsets are available for purchase. 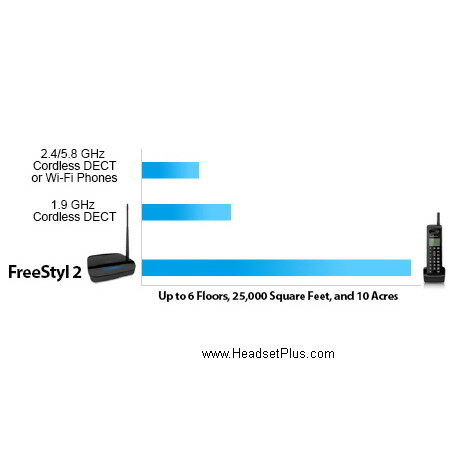 Each FreeStyl 2 base station supports up to 9 individual FreeStyl 2 handsets. Each handset includes its own charging station. *Actual range can vary depending on many factors including environmental conditions, distance between handsets and base stations, radio interference in the operating environment, and mix of devices in the network. Features and specifications subject to change without notice.